Cape Kidnappers Golf Course Hole 3: This par three has a definite "don't go short or left" message to it. The safest play is to the right side of the green but putts from there are also very quick as the green really slopes from back to front and right to left. 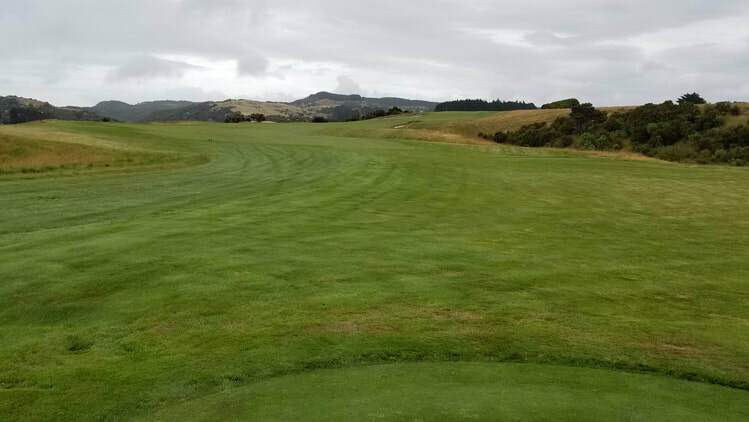 Cape Kidnappers Golf Course Hole 4: The drive on this par five is uphill and mostly blind so the player must trust the line and hit a good one as there is trouble in the form of long grasses and worse for a wayward shot. From the landing area, the rest of the hole opens up before the golfer. The layup is best hit to the flat area left of the deep bunker on the right, but the player can try to cut off the danger and hit the green. The left side of the green is open and slopes to the right so a well shaped shot can make for some thrills. Anything right, though, will yield, at best, a deep bunker shot, and, at worst, a lost ball. 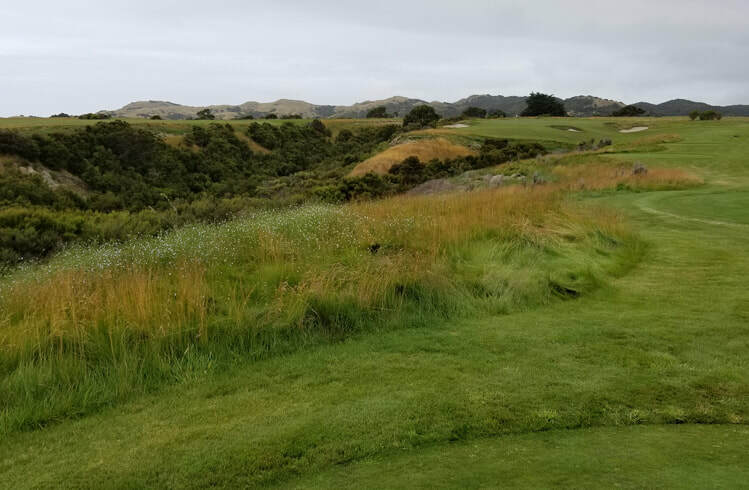 Cape Kidnappers Golf Course Hole 5: The player gets his first taste of the cliffs of Cape Kidnappers on this straight par four. There is a well-placed dual bunker dead center of the fairway. Absent clearing it with a bomb, or staying short of it, leaving a long shot in, there is more room left, which is also where the cliffs are. To the right side, it is tighter as another set of bunkers await. The green is slightly raised so rolling a shot on is not a great option. Pin placements to the left figure to be tougher than those center or to the right. Cape Kidnappers Golf Course Hole 6: A long par three, this one affords great ocean views again. Going left is not really an option and coming up two yards short is the same as coming up 20 yards short as balls will roll back down the fairway, unless they find a bunker. The green slopes strongly from right to left. 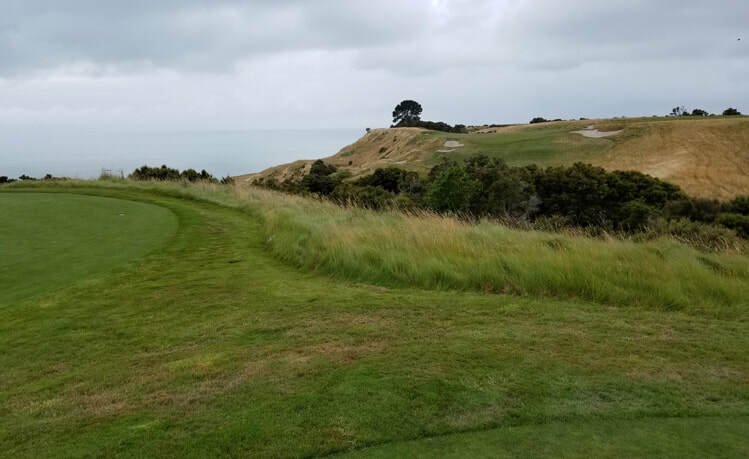 Cape Kidnappers Golf Course Hole 7: The drive from the tee on the 7th is visually the most daunting on the front as there is only a sliver of fairway that the player can see. In actuality, there is more room to the right over the trees than it appears, but it's still a tough drive. The second shot is played downhill to a green that is still well above its surroundings and balls will bound down hills if they don't hit the putting surface. 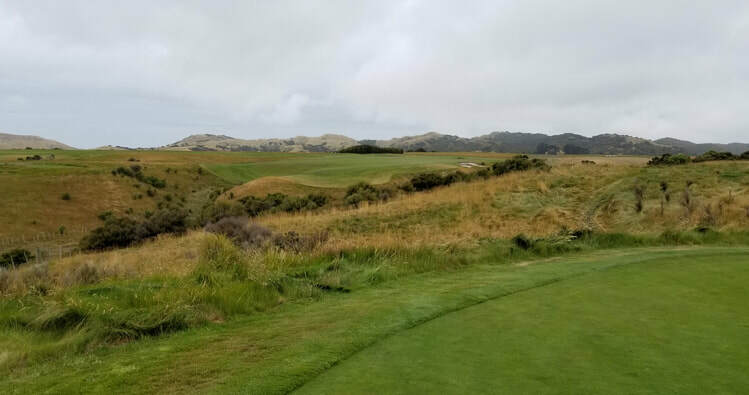 Cape Kidnappers Golf Course Hole 8: This par three requires a solid strike as anything too far in pretty much any direction, especially short, will find a substantial amount of trouble, if the ball is even found. The green has multiple tiered areas and is a challenge to putt. 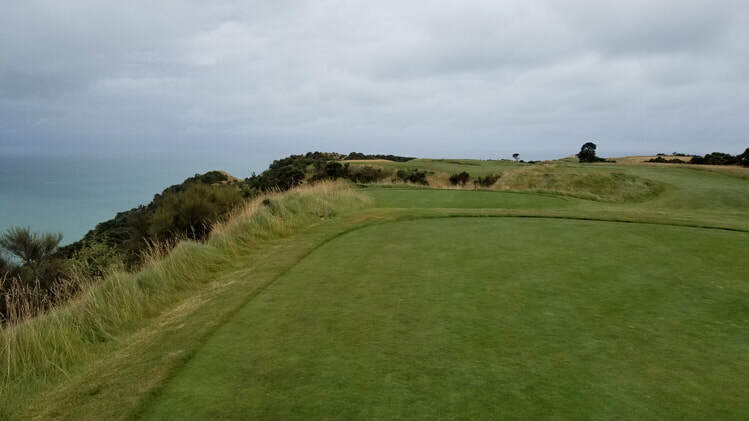 Cape Kidnappers Golf Course Hole 10: The back nine begins the trek into the finger-like tracks of land that are split by steep cliffs down to the ocean or ravines between them. On this hole, the main danger is left from the fairly generous landing area, down to the green complex. 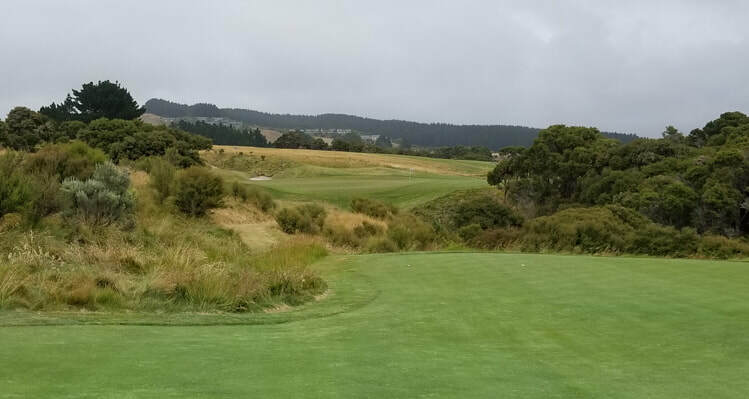 Cape Kidnappers Golf Course Hole 11: The tee shot on this long par three is very daunting as the player likely has at least a long iron in their hand and faces a ravine short and left, coupled by a much smaller than expected green and several bunkers surrounding the green. 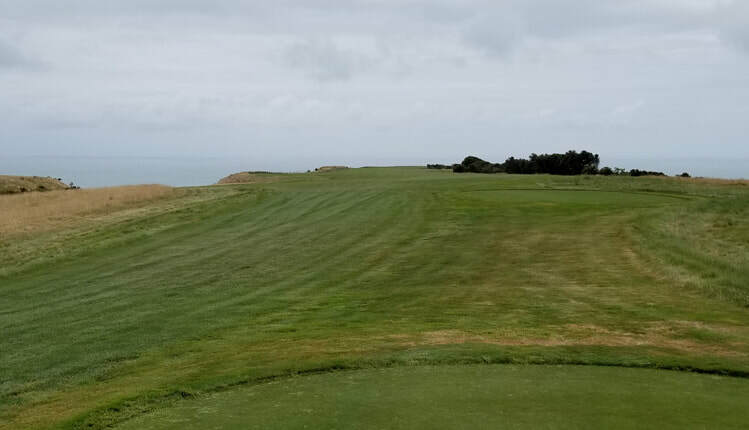 Cape Kidnappers Golf Course Hole 12: This par four is similar to number 10 but it gets an upgrade for the proximity to the ocean and the vista/experience that is the green. Most nice resorts have the infinity pool and this is as close to an infinity green as I've ever seen. The fairway is quite wide but going left or long of the green is not a very good idea. Soak in the vistas, which are part of the reason this course has its accolades. Cape Kidnappers Golf Course Hole 13: The par three itself is short and, although the green is undulating, there isn't too much trouble if the short iron is hit relatively straight; however going left is a terribly bad idea that will come with a lost ball and penalty; right isn't much better as a chip from over there to the narrow green will be nasty. The tee box itself is one of the most serenely located in the entire world with vistas galore. 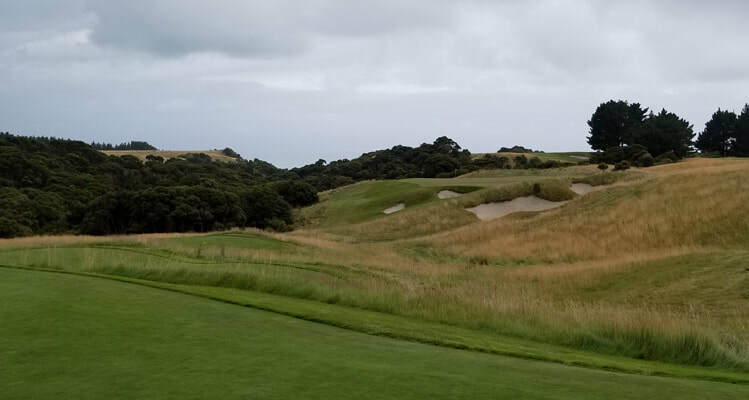 Cape Kidnappers Golf Course Hole 14: The holes going towards the ocean get most of the attention, but this short par four might be the best design on the whole course. The tee shot must carry the ravine and, depending on wind conditions, the amount of the dogleg to carry to the right is a tricky proposition. The green, as one would expect, is tiny, but negotiable if the putting surface can be found. 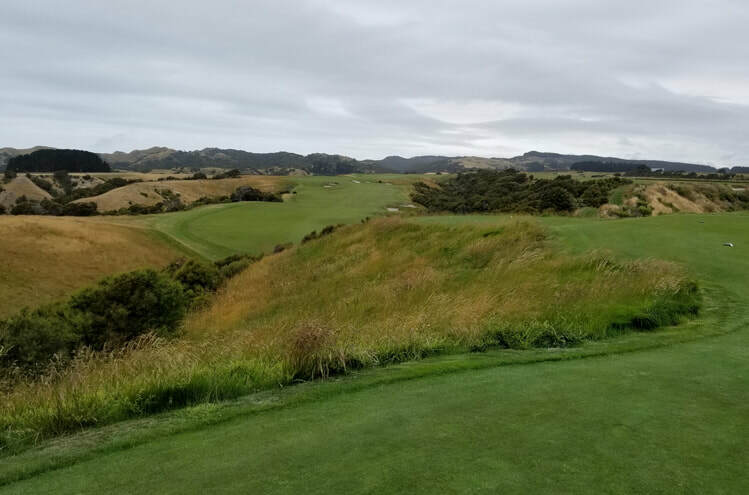 Cape Kidnappers Golf Course Hole 15: This par five is on the longest "finger" at Cape Kidnappers and is a beast of a straight par five. Don't go left, don't go right, don't go long of the green but enjoy the truly unique location that this golf hole provides. 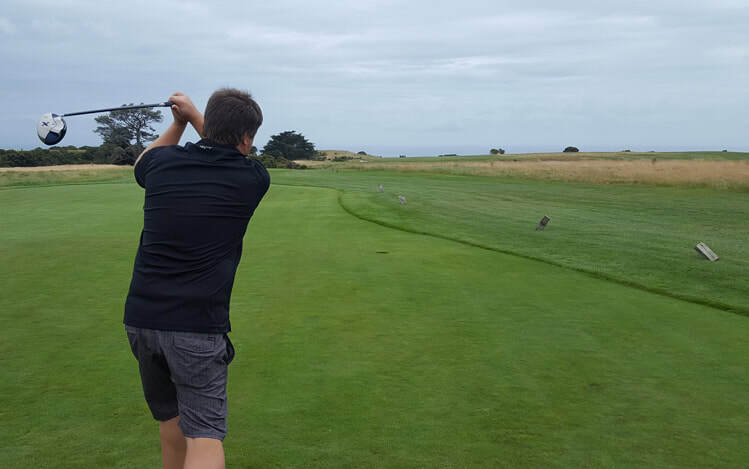 Cape Kidnappers Golf Course Hole 16: This par five has a very tough drive. Although the tee shot is elevated, the drive somehow feels uphill due to the steepness of the landing area, which is also very tight. The second shot will certainly be uphill to a green complex that is more subdued than many others on the course. 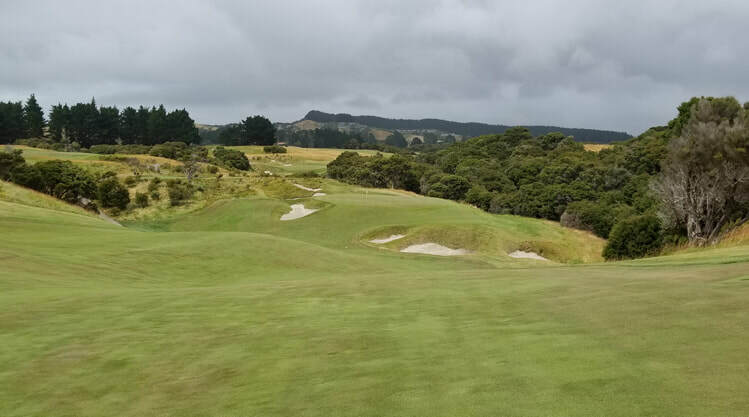 Cape Kidnappers Golf Course Hole 17: The seventeenth is a nasty, uphill, winding par four where two of the best shots of the day must be struck to negotiate a par.